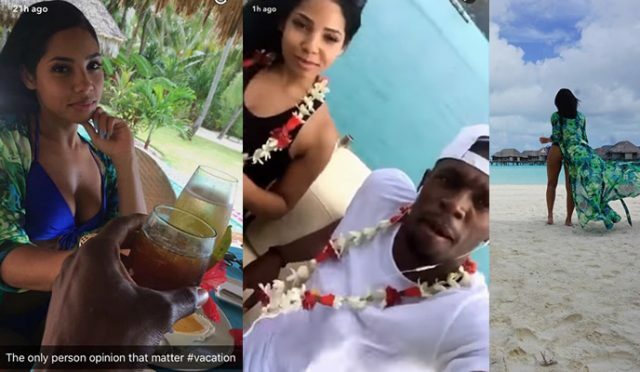 Usain Bolt and Kasi Bennett are enjoying their vacation at a luxurious Four Seasons Resort, Bora Bora, which is located on a small South Pacific island north-west of Tahiti in French Polynesia. Watch Video below. Kasi seemed to be unscathed by the recent negative comments following Bolt’s alleged shenanigans while staying in Rio after the 2016 Summer Olympics. She has shared a photo and her location ‘Bora-Bora, Tahiti’ with her 160,000+ followers on Instagram. Kasi at ‘Bora-Bora, Tahiti’. Photo via Instagram.